Ever since Dr. Oz, of Oprah Winfrey and the Doctor Oz Show fame, claimed that raspberry ketone is a “miracle fat burner” the supplement has practically been flying off shelves. Unfortunately he failed to mention some important details. 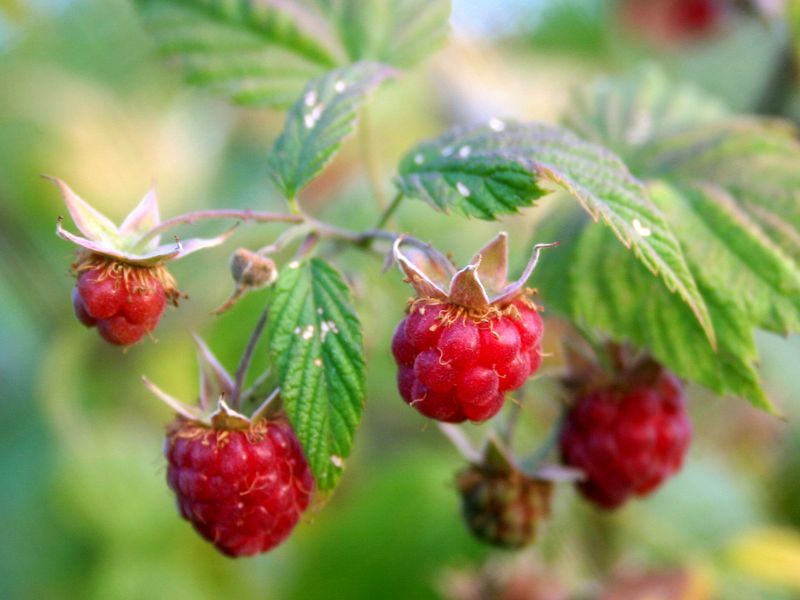 Raspberry ketone (not to be confused with the ketones produced when doing a diet) is the primary organic compound responsible for the aroma of red raspberries. It can be extracted from those and deliver a fruity smell to products it is then put into, which is widely made use of in food and cosmetics. However, because raspberry ketone naturally occurs only in very limited quantities, for industrial uses it is normally produced with the help of a rather complicated chemical process, and not extracted from its natural source. Another study found no effect on mice at daily dosages less than 200 times more what the average human consumes. The first study never states how much raspberry ketone in milligrams the mice actually were fed; we only get the mention that it was 0.5, 1 or 2 percent of the food they were provided with. The second study gives us some numbers to play around with and, according to those, it takes 100 mg per kg / body weight of mice to have an effect on them. Which means it takes at least 2.2 mg of daily raspberry ketone to have any effect at all on a mouse that weighs 22 g (1 kg = 1,000 g; 1,000 / 22 = 45; 100 mg / 45 = 2.2 mg). Now, if we do like Dr. Oz did (see below) and extrapolate mouse data on humans, we can go further: if the average mouse weighs about 22 grams and needs 2.2 mg for an effect of raspberry ketone, then to have an effect on a 75 kg (165 lbs) human, we’d need 3,409 times as much raspberry ketone as for the mouse (1 kg = 1,000 g; 75,000 g / 22 g = 3,409). Per day that would be 7,499 mg or 7.5 g (2.2 mg * 3,409; 1 g = 1000 mg). 7,499 mg or 100 mg? In order to get enough ketone to have an effect on the way your body burns its excess fat, you would need to consume 90 pounds of raspberries! But, just 100mg of the supplement per day is enough to get your body burning fat the way you want it to. In order to get enough? I’d like to see the reasoning behind the amount he states. Based on the published data, the 100 mg he recommends would most likely only produce an effect in a mouse, while we still have no idea if raspberry ketone has any weight loss effect on humans at all. Not to mention that nobody, including Dr. Oz, knows if regularly gulping down amounts that could have an effect really are safe for humans. I really shouldn’t be surprised about this anymore, as the good doctor was already involved in the acai berry craze a couple of years ago, not to mention his other activities that leave question marks. But I still feel that a trained doctor, especially one with this much influence, should adhere to a higher personal standard of responsibility. Especially if it is a standard he, as a matter of fact, does claim for himself. When he filed a suit against the above 40 or so acai berry marketers unlawfully using his name and image, he told ABC News that people are “often duped into paying more than they should” for “pills that don’t really have what’s promised in them”. When I looked, the average bottle of raspberry ketone supplement costs $20 to $60. Perhaps it’s just me and my personal idea of integrity, but had I uttered the above words and then endorsed something this expensive despite so little factual backing, I couldn’t go to bed at night with a clear conscience. The misuse of authority nowadays is sickening. The main purpose of higher education is to create moral and ethical people with the skills to deduct false reasoning and disprove twisted arguments. There is a world of difference between a rat study and a human study, and promoting results from rat studies is basicly the number one tactic for supplements in the fitness industry. It is just appalling how this doctor is actually promoting all of these questionable products, when his education and experience should be sufficient to really see the flaws they have. I totally agree here, this guy is a complete sellout and lacks a common amount of integrity, which is really disgusting. Good article and great coverage evil! My thoughts exactly. Dr. Oz is a well-educated and intelligent man and being in that position brings a certain responsibility. Wow. I just came across all your videos and writing today. Very educational and insightful. I think weight and fitness issues are the bain of practically everyone’s existence. And of course because of this we have plenty of figureheads to capitolize on everyone’s vulnerabilities. What impressed me about your perspective is your integrity. You have shed light on the fact that the unfortunate truth happens to be that this struggle is likely to be a lifelong process. Even for those of us who have found some success with the loss facet, there is no panacea. The answer is to research the truth and implement it consistently enough to make results happen. Forget Dr. Oz….thanks to normal everyday people like you who spread a message about believing in yourself to anyone who will listen. Hello Suzanne, and thank you for your kind words! Of course, I very much agree with you: success lies in each and everyone of us and doesn’t need any gimmicks. Like Suzanne, I just recently discovered your site, and share with her a wish to commend your intelligence and integrity. As a mostly reasonable human being and a physician, I have been appalled by Dr.Oz’s having “gone over to the dark side”, as one editorial in a medical journal poetically described Dr. Oz’s show promoting junk science, and disgusted by so many others espousing gimmicks. Thank you for the work you have done and the energy you have expended in sharing scientific as opposed to “fad” information. I’m not a TV watcher so I’ve only caught Dr. Oz on a few of Oprah’s shows in the past. I liked his style and the way he delivered information. In the past year, I came across his own show only a couple times, and didn’t bother to watch more than a few minutes of it. It was so silly and so game-showish, especially with his goofball “demonstrations” and tacky games. I was half amused and half disgusted. I like what Elaine said about him going “over to the dark side”. I don’t care how qualified he is on paper, I think he’s become a joke and a sell-out. We can say that he uses being a doctor very much to his advantage. If it works so well, then why isn’t Oprah taking it? Dr. Oz’s pretty face recommended it and it gave me sort of a confidence to try it out. And all thanks to great Dr. Oz I am finally melting my pounds off. Raspberry Ketone decreases the craving to eat food/carbs/sugar significantly for myself. I can now subsist on 2/3 to 1/2 the amount of food I used to eat in one sitting to feel full or not hungry, by taking 0.5g of raspberry ketones an hour before each of my 6 daily meals. Around 7 days earlier, I was 252 pounds. Now I am 243. The key to weight loss is portion control and I am able to do just that with no energy depression, I strongly believe, due to raspberry ketones. I am taking total 2 to 3 gms per day and I can feel them working in my body, keeping me warm and my basal metabolic rate significant and noticeably active. The only downside is I need to drink tons and tons of water.